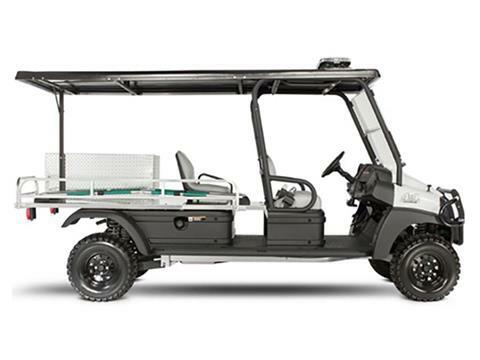 Emergencies can happen at any campus, stadium, or work site.1700 Ambulance Fit-to-Task Vehicles have a small profile and tight handling, allowing you to bring help directly to patients no matter where they are – with space to securely carry them where they need to go. 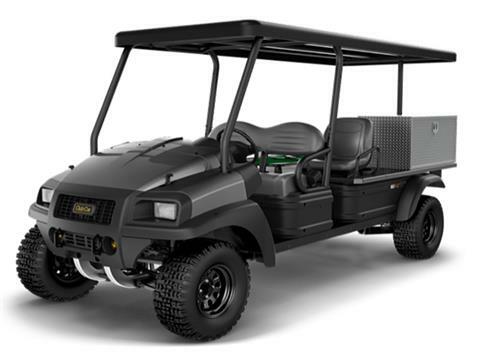 The diesel model features an automatic all-wheel drive system that conquers rough terrain and virtually eliminates driver training. It is equipped with the same standard equipment as gasoline models, but features a 20-hp-rated (15 kW) Kubota diesel engine for fuel compatibility on construction and industrial sites. BLACK STEEL WHEELS - 25 IN. ALL-TERRAIN TIRES: Outfit your vehicle with traction and control to get the job done – all without sacrificing riding comfort or rugged good looks. 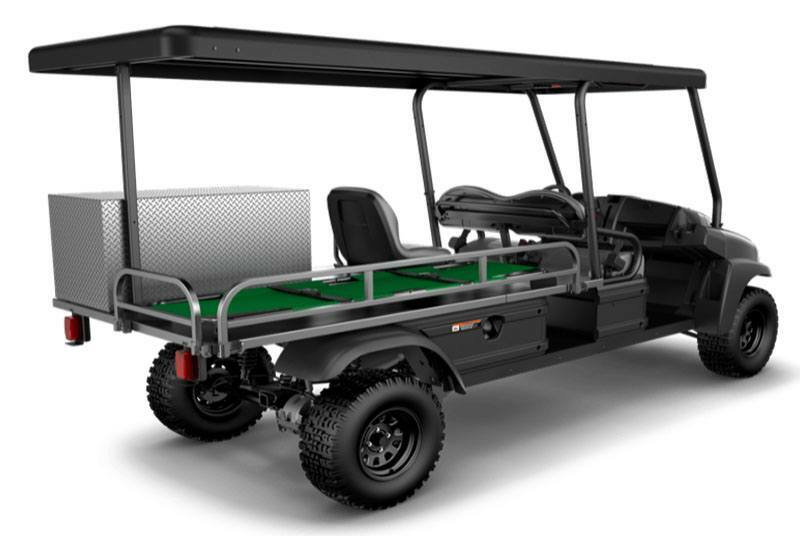 HEAVY-DUTY SUSPENSION: Heavy-Duty Suspension for 4x4 units that allows for increased loading capabilities to better handle sharp impacts. STANDARD CTV COVER: Safeguard the transmission against debris, brush, and other materials with a protective cover. REAR LIGHTING AND HORN PACKAGE: Rear tail lights and brake lights make your vehicle more visible and communicate your intended driving pathway to other drivers. A horn makes it easy to alert others in a variety of situations. TOP WELDMENT – ROLL-OVER PROTECTION SYSTEM: Top Roll-Over Protection System Weldment that protects user in the event of a rollover. SIDE WELDMENTS – ROLL-OVER PROTECTION SYSTEM: Side Roll-Over Protection System Weldments that protects user in the event of a rollover. REVERSE GEAR SELECTION BUZZER: Buzzer warns driver that reverse gear has been engaged. CARRYALL 1700 AMBULANCE TOOLBOX AND DROP-DOWN SIDE RAILS: Special installation package that converts your Carryall 1700 into an ambulance vehicle. TAILIGHTS AND BRAKE LIGHTS: Taillight and brake light package used in combination with the Carryall 1700 ambulance package. REAR SEAT: Rear attendant seat for the Carryall 1700 Ambulance package. 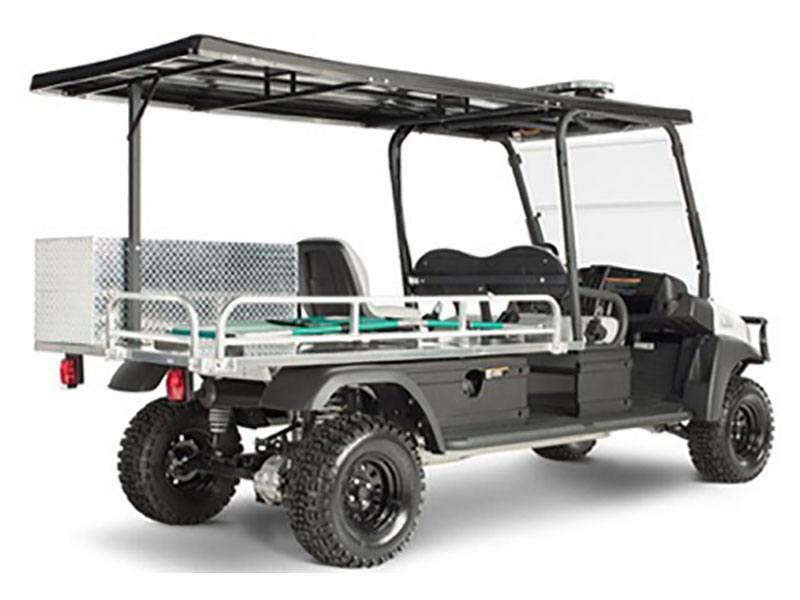 CANOPY: Add protective cover for your first responders as they provide treatment to the injured.